This is part 3 in our 5-part Eat Right Series and today is 100% strategy-based. 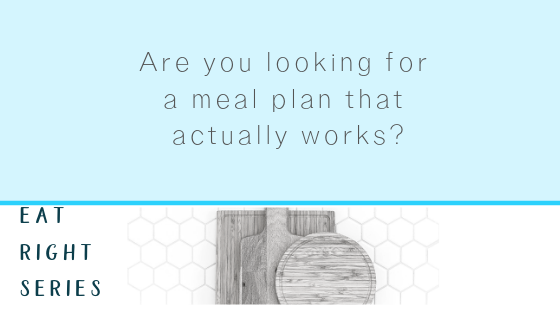 I’m giving you ALL the best tools, tips and doable action steps to create, implement and stick to a meal plan. Ok so maybe making a meal plan isn’t the most exciting topic BUT having a meal plan is the very backbone of eating right. It’s planning with the higher level function of your brain so that how you eat aligns with how you want to feel. Whether you’ve never tried meal planning before or you’ve been doing it for 20 years, and especially if you’ve tried it and written it off as too complicated, too boring or too unfun this epsiode will have something for you. Last week in episode 1 of our 5 part eat right series we set the foundation for eating right. If you haven’t heard that episode you’ll want to go and give it a listen before you jump into today episode. Even though we know that eating right is foundational to looking and feeling our best it can sometimes feel like it’s out of our control. Have you ever found yourself at the bottom of a bag of chips or that 3rd glass of wine you swore you wouldn’t have? How about standing in front of your open fridge even when you know you aren’t hungry? Why does this happen? And why do we feel so powerless to stop?